This section offers advice and information about specific luggage products. We explore specific products and product ranges. Luggage is not just a bag, there is so much more to it now a day. You can find specialized luggage for almost any occasion. 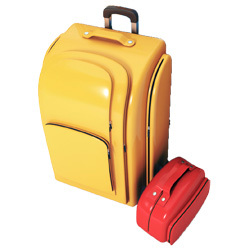 There are of course traditional suitcases and carry-on bags but there is also wide range of specialized bags. There are garment bags for those that travel frequently with formal attire, laptop bags in all shapes and sizes for those that like to bring their laptop along, there are camera bags to protect your camera equipments when travelling, there are special bags for your ski or golf equipments, the kids can have their own luggage set, etc. We explore the pros and cons of the different product ranges and compare the different luggage brands and prices.